How to be less anxious? 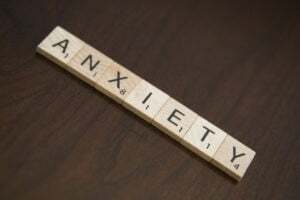 Anxiety or being anxious is one of the negative outcomes of being stressed. Stress is an emotional response to pressures we feel in life and anxiety is our response to stress itself. There are many other effects of stress, why anxiety takes centre stage? Because Anxiety is when fear overcomes other emotions as a response to stress. The apprehension itself limits the person’s capacity to think something much productive in such state. Moreover, it has been found that anxiety leads to depression over a period of time, with many long-term effects. You can read about anxiety study here. More data can be presented to tell about ill effects of anxiety, but that is not going to solve the issue. So let’s get to the task. You can follow all these guidelines, or you can pick anyone, use it for some time and work from that point onward. There is no hard and fast rule. Practice Asanas: Any well-designed class is good enough to move your body and relive your mind of stress itself by end of class. Over course of several classes, these benefits start to get deeper into your body and help in releasing tension and negativity from the body. Keep in mind to end each class with savasana. It is worth every moment when done after class. Breathe: Even if you don’t practice pranayama, deep and conscious breathing is, in general, a good practice. With an increase in sedentary lifestyle, this is even more important than anything else on the list. You can read about breathing in detail here. Have a positive habit: This part is tricky, hence rather than saying a relaxing habit, I mentioned it as a positive habit. There are many relaxing entertaining habits but only a few have a positive impact on our mind and body. Pick anything like meditation, walking, gardening or even volunteering for some good cause as a regular habit. These activities give a gentle break to your mind from overall routine and allow your mind to process the situation holistically, which in itself takes care of response to those situations. Positive company: A circle of positive people provides good energy to our mind and body. In the company of such people (be it your friends, yoga classmates etc. ) elevates you out of the bad mood and thus protects you from entering into a circle of stress>anxiety>depression or any other ailments. On an additional note, sometimes, such company also helps you in maintaining your positive habits. Nothing more is required to maintain a good health. Thinking your way out of stress or anxiety is effective only till you are reading a good article. To sustain the mindset, it requires a daily input of good things into both mind and body. There is no denying that. And as you can read in articles here, it doesn’t require creating big commitments on your part. Start with small steps, develop a habit of doing them regularly and you will see effective results from the first day itself. These benefits keep on increasing with each subsequent practice. *If you like this article, please share it by clicking the share button. You can also comment in the comment section below.